So part 3 and this week I’m focused on buildings and their buttons. I’ve decided to change things up very slightly this time around. In Tribloos 2 if a building button was unavailable (eg. the building could not be built due to lack of workers/resources) it was faded out. If it was available it was presented with a green glow. I wanted to make the distinction a bit stronger this time. Now if a building cannot be built yet you’ll end up with a “dotted-line-button” that should be instinctively un-clickable. And of course the opposite is also true; eg. if the button is visible at all it’s clickable! Exciting stuff eh? Uh, okay that’s not exactly “mixing it up”, so lets talk about some real change. This is probably one of the highest requested features for Tribloos 2 but something that wasn’t easy to add that late in development. And it’s centered around resource production in buildings like sawmills and toolsheds. Previously when you had sent a worker to a sawmill to make wood you’d have to count down or guess when they’d be finished. This was to be as efficient as possible so you could click on the toolshed to get them to make some tools the very second they’d produced that wood. Well guess no more! 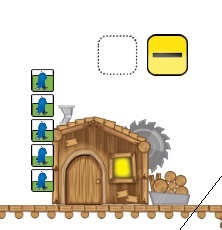 When a worker now reaches a sawmill or other production buildings (again such as toolsheds, refineries, locksmiths, etc…) and starts to make resources, a small progress bar will pop up on the side of the building. This will show you how far through that particular worker is done with making wood or tools or whatever. 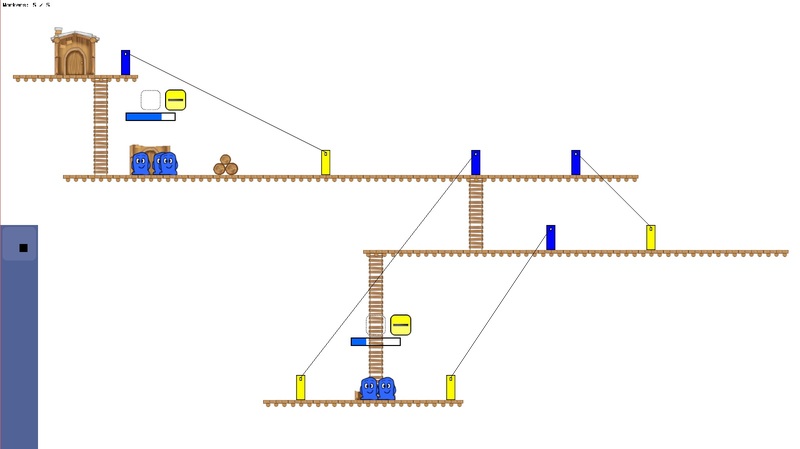 Tribloos making wood – new progress bars! I’m especially pleased about the way this has worked out. Like I said this was one of the most requested features from the previous games and I’m really pleased to have finally managed to get this in! That’s it again for this week, I hope you’re all excited about the game so far. Next time I’ll be talking about the new cut-scene manager and how it effects the story.